This plant produces large black fruit that is firm, fleshy, and sweet. 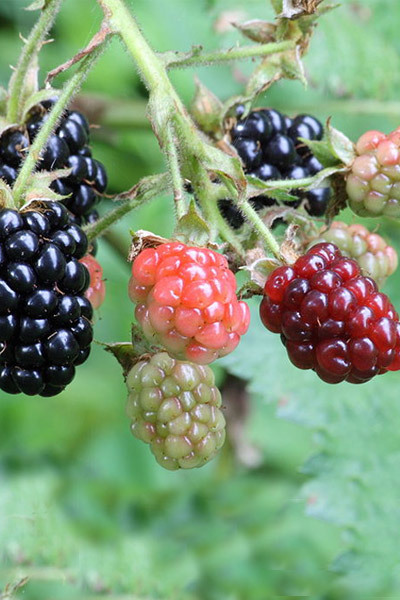 Blackberry will produce over a long period of time. It is a very hardy and heavy producer. The root systems of this plant have great soil holding capacity.